﻿ Five star caravan insurance for the fourth year running! Five star caravan insurance for the fourth year running! 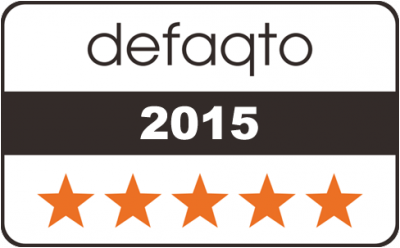 We have scored a 5 Star rating from independent research company Defaqto, for a fourth consecutive year! Defaqto, which rates, compares and analyses financial products, bestowed its highest honour on our tourer policy in recognition of it offering some of the highest standards of cover available in the caravan insurance market. This most recent accreditation comes just a few months after we announced a series of improvements to the tourer policy. These included giving customers the option to protect their no claim discount and allowing up to two claims over five consecutive periods of insurance. You can also enjoy all risks cover for fire, theft, storm, flood and accidental damage, and you benefit from having the option to insure their caravan on a new for old or market value basis. Up to 240 days European cover and emergency accommodation cover is also available with the 5 Star policy. 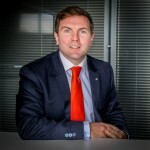 Caravan Guard Managing Director, Ryan Wilby, says this latest 5 Star rating is a great reminder to our customers: “Maintaining Defaqto 5 Star rating for a fourth consecutive year is a huge achievement for us as it shows new and existing customers how we offer superb quality insurance cover. Check out our tourer policy page for more information on 5 Star caravan insurance from Caravan Guard, or call 01422 396 769 (7 days a week).